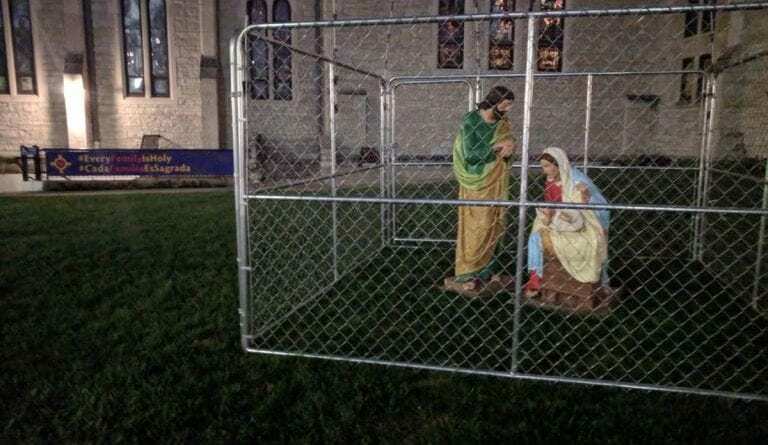 The Christ Church Cathedral in Indianapolis, IN placed statues of Mary, Joseph and the baby Jesus in a cage with barbed wire to protest the Trump administration’s zero tolerance immigration policy on Monday evening. 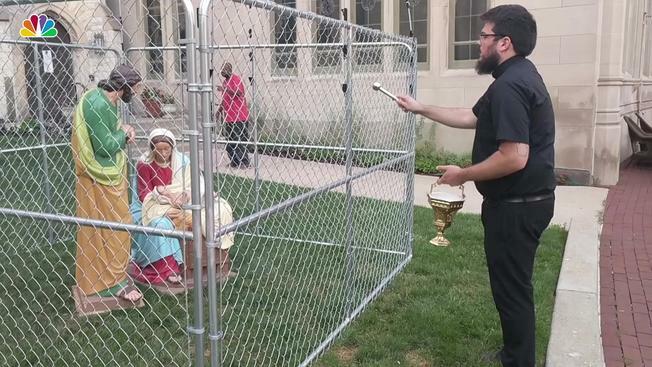 “On our lawn tonight we placed The Holy Family…in #ICE detention. 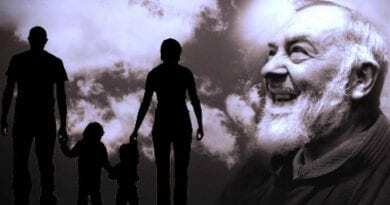 #Immigration,” the church tweeted.